The high-capacity alternator mounts to either the Gator™ CS or Gator CX engine to provide additional amperage output required when operating certain electrical attachments at low idle for long periods of time. At high idle, the kit will provide up to an additional 40 amps for a total cumulative output of 53.7 amps when combined with the vehicle's existing output. At low idle, the output is approximately an additional 22 amps. 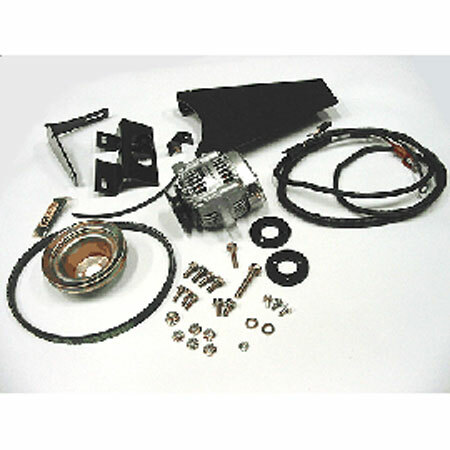 NOTE: This kit come less MPG2 Dielectric Grease.